They say everything is bigger in Texas, and according to Alec Bradley, that includes lanceros! 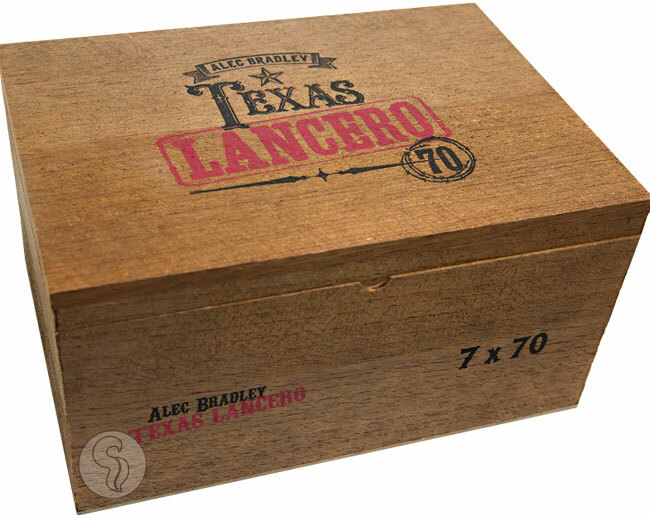 Introducing the largest lancero to ever hit the market - Alec Bradley's Texas Lancero, a 7' x 70 monster of a cigar that's been given the true Texan-treatment. Housed in extra large, 50 count, wooden boxes, these behemoths will deliver your daily dose of smoke in one sitting! A super-sized Nicaraguan wrapper covers an Indonesian binder and 3 filler varieties from Nicaragua, Honduras, and Costa Rica. And Alec Bradley didn't stop at the clever name, these cigars are packed with flavor and thick, white clouds of smoke. With hours of smoking pleasure, the Texas Lancero will deliver rich flavors of cedar wood, nuts, spices, and earth, making for a long and enjoyable ride you won't soon forget.